Countdown to another weekend of great deals and amazing discounts - Our Home’s Summer Sale happening on April 12-14, 2019! 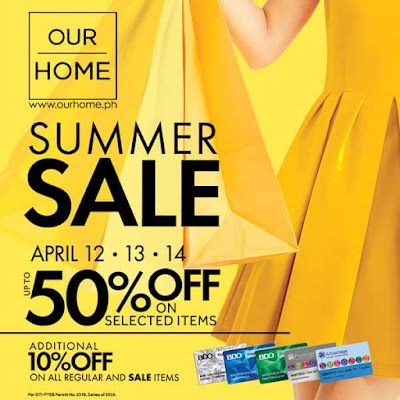 Visit Our Home participating branches and get up to 50% of on selected items plus 10% off for SMAC, SM Prestige and BDO Rewards card holders. You can also pay for up to 6 months installment at 0% interest!